Ms.Medha Padkar came into contact with the tribal people facing displacement under the Narmada Valley Project when visited their remote families as a researcher. Some well-meaning groups were already working among them. She noticed that the history of every major river valley project contained one dark chapter that few cared to read it told a tale of broken promises of relief and rehabilitation. She realized that the tribal population under threat of eviction in the Narmada Project area would not get justice under the proposed resettlement scheme. She questioned the very rationale of mega projects that destroyed the physical and social environment of the people in their vicinity. Ms.Medha Padkar put her heart and soul into a campaign to help the poor. Illiterate tribal people stand up and fight - not for doles but for the right to live. It was a campaign to save the people, the land and the river. 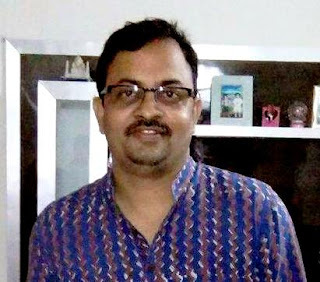 It changed the very temples of the environmental movement in the country from a mere wild life and forest conservation movement, to a matured tough human rights, social justice and resource management effort. Her vigorous championship of the cause of the project victims prompted international funding agencies to rethink on social costs of development. Human rights campaign calls for strong conviction, extreme deviation and deep sense of commitment. Ms.Medha Padkar has displayed these qualities in measure in successive campaign organized under the banner of the Narmada Bachao Andolan. 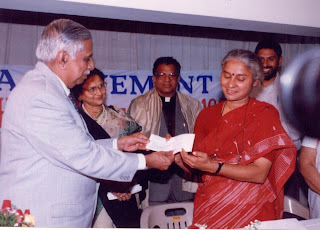 In recognition of her sterling contribution to the cause of protection and promotion of human rights, the Board of Vigil India Movement conferred on Ms. Medha Patkar the M.A.Thomas National Human Rights Award 1999.